Tony Smith Advanced Bass Grooves download free. See Tony Smith knock the top off bass guitar! A true innovator, he has performed with Steve Morse, Average White Band, Grover Washington and Larry Carlton, to name but a few. In this incredible DVD, he takes viewers step-by-step through an array of his one-of-a-kind techniques. He demonstrates slap bass over a rock shuffle and shows hip-hop grooves using slap and pizzicato. He teaches his touch technique over a salsa groove and demonstrates a montuno with his left hand and the clavi with his right hand. 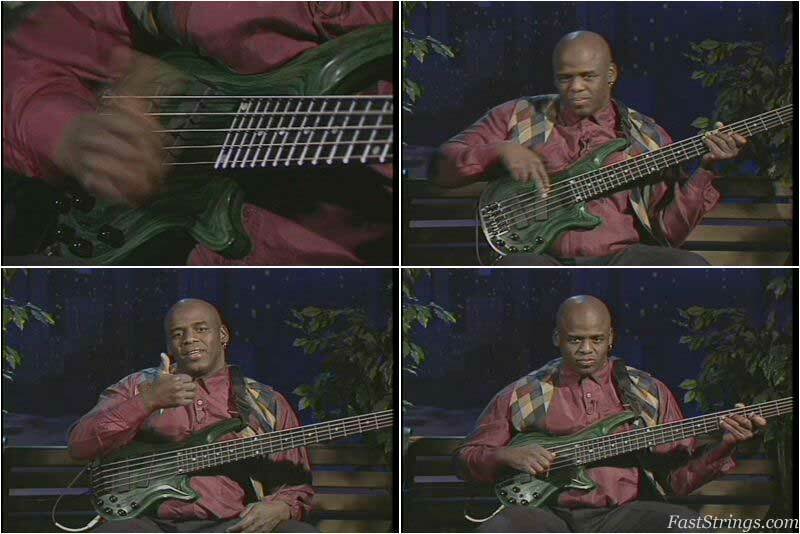 Good instructional DVD on setting up and keeping solid Bass grooves. Tony Smith does a great job of outlining the important aspects and approaches to different techniques.